Now I fully realize that most of the country is freezing right now and not really able to go outside so I apologize in advance for this post, but you can always come visit so consider this a ad for FL. The grass in Fl is not nice... at least I'm not a fan. When you can grow it (aka spend a lot of money to have people maintain it for you like the collage Nate works for) it is very deep and has large pokey blades. I often miss the soft grass up North but I'm not going to knock it to much since we still have grass in January. For what I lack in love for the grass, Zozo makes up for it and will go bounding through it for hours. 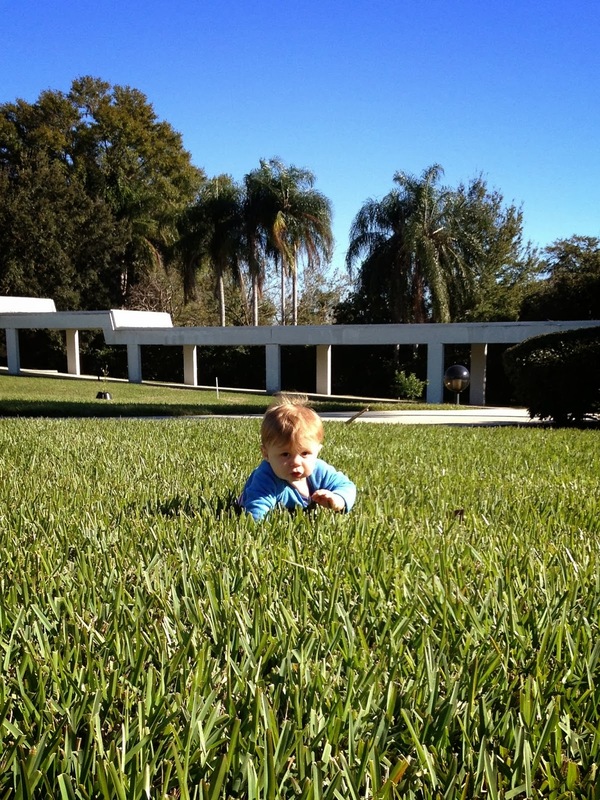 Up until last week, Will was on my team when it came to the grass. We would put him down in it and he wouldn't move, poke at it, and often start crying.